Our number one priority while serving our clients is to guarantee quality medical care / professional. Areas of Law Include: Automobile Accidents, Commercial Vehicle Accidents,Vehicle Defects. Here at J. Barrera Law, we pride ourselves on client satisfaction and our commitment to legal. © 2015 J Barrera law | All Right Reserved. My name is Jose E. Barrera the chief Attorney at the J. Barrera Law Firm. I was raised in Corpus Christi, Texas and attended W. B. Ray High School. I then furthered my education by moving to San Antonio, Texas where I was accepted to St. Mary’s University to obtain a Bachelor’s degree in International Studies. I earned my Law Degree 2003 from the University Of Houston School Of Law. My general hobbies include fishing, boxing, watching football, and mentoring young athletes at a local boxing gym in Corpus Christi. After Graduation I started a lawfirm and after fifteen years and thousands of clients I am proud to say I still learn every day. In 2010 I moved back to the South Texas Area in hopes of bring my legal expertise closer to my family, friends, and fellow citizens of the coastal bend community. Not only has our firm maintained consistent clientele in the South Texas area, but we have also successfully handled cases dealing with civil matters, personal injury, and product liability all over the state of Texas and other areas of the United States as well. Furthermore, with the new look and launch of J.Barrera Law I have tremendous optimism for the future of our business. The virtues of patience and understanding are essential in my everyday business approach and I instill those qualities in every case I handle. My staff and I have worked extremely hard to provide our clients with a legal service that is top of the line. Thank you, and please keep in mind J. Barrera Law Firm for your general legal and Personal Injury concerns. Jorge Luis Barrera Jr. has 10 years experience in the legal industry. He is a Corpus Christi native and graduated with athletic and academic honors from West Oso High school where his extracurricular activities included: football, basketball, track, and the UIL debate club. Following High School, Jorge attended Del Mar College and graduated with an associate’s degree in biology and exercise science. Jorge completed his B.A. at Texas A&M University- Kingsville. In 2011 Jorge began his apprenticeship at the J. Barrera Law Firm. He has since gained extensive knowledge in the family, criminal, and personal injury areas of Texas law. “Our personal injury firm has flourished into a small business success starting with a few clients; we now maintain an abundance of clientele all over the state of Texas,” – Jorge Luis Barrera Jr. He is a master negotiator and meticulous in case review. 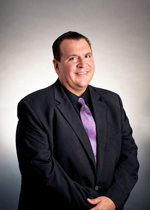 Jorge also prides himself in the management of the tight-knit staff of J. Barrera Law Firm. “I strive to work hand in hand with clients to establish their trust, honesty, and respect, characteristics that are vital to a successful settlement. 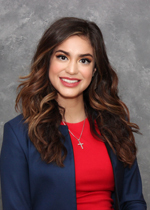 I look forward to working with all our future clients here at J. Barrera Law Firm for a genuine experience that will last a lifetime.” – Jorge Luis Barrera Jr.
Brianna Joy Calderón- Barrera is a licensed private investigator focused on results for all of J. Barrera Law firm. While most people tend to shy away from getting to the core of a resolution, Brianna really leans in to find the best possible scenario for clientele. 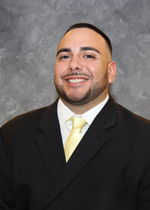 Calderón- Barrera studied at Del Mar College for an associates in business administration and is a trained paralegal. She is a member of the National Association of Legal Investigators Incorporated and is focused on the details of every case. Her presence at J. Barrera Law propels everyone in a direction of positivity. In her spare time, Brianna enjoys painting, family time, and fishing. Jennie Alvarez was born and raised abroad. As a cultured employee, she is 100 percent bilingual. Jennie is passionate about the work she puts in at J. Barrera Law firm. She believes in justice and will fight for it. Jennie displays extreme focus when working on cases, she is empathetic to each person’s situation and prides herself in being a perfectionist. Jennie genuinely loves her work, and she does it exceptionally well. Her hobbies include: dancing, hiking, and traveling to parks. Mauro Homero Luna, affectionately known as “Homer” was born in Hebronville, Texas. He was a standout football player for the Longhorns, but secured his Associate’s Degree from Del Mar College in Corpus Christi. Luna was a stellar employee for Time Warner Cable for 45 years of his life. After retirement, he took his aptitude for client relations to the next level for J. Barrera Law Firm. His friendly, outgoing, and helpful attitude have been an integral part of the J. Barrera Law Firm for 5 years. 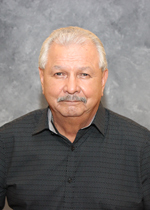 Luna serves as the lead on marketing efforts and he also served the athletic community of the Coastal Bend, as a football official for 44 years. Homer is an avid pool player and deer hunter. He and his wife have 3 wonderful children, 8 grandkids, and 1 great grandchild. Norma Esparza Barnard was born in Corpus Christi and is a proud graduate of Miller High School (once a Buc, always a Buc). She has nearly 40 years experience in the telecommunication industry. After retirement, she needed a new challenge and that turned out to be the claims department of J. Barrera Law Firm. Norma‘s attention to detail partnered with her patience produces the highest quality of customer service for clients. She has been married to husband Richard Barnard for 18 years, together they have 6 children, 8 grandchildren and 1 great granddaughter. 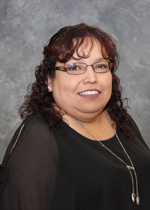 In her spare time, Norma enjoys: painting, baking, cooking, and international travel. Rosie Schmitz was born and raised in Corpus Christi, Texas. 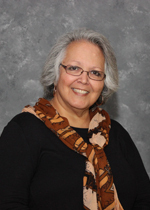 Schmitz gained sizeable knowledge of the medical environment when working as a nurse assistant for 10 years in Minnesota. Once she returned to the Coastal Bend, she began work on the other side of the doctor’s office. 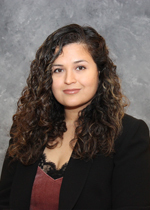 Her specialty in medical billing has served J.Barrera Law Firm well. She is a direct link for clients to scheduled appointments and her customer service is unmatched. Rosie always has a smile on her face and a positive attitude, making her an excellent liason for clients that are experiencing personal injury or trauma. She is a coordinating link between clients and their doctors. Rosie has two children and enjoys reading or fishing in her spare time. Macy is the pride and joy of the J. Barrera Law office. She is 3 pounds of pure heart and loves trotting around to make sure everyone is on their job. 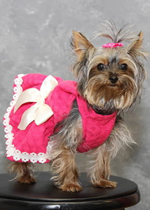 Macy is always dressed to impress and she can double as a therapy dog for those clients who need a reason to smile. Her favorite snack is Vienna Sausage and her hobbies include getting anyone to play chase with her!! Macy is from Ohio but she is a Texas girl through and through. She may be little, but Macy is fierce and that is what working for J. Barrera Law is all about.